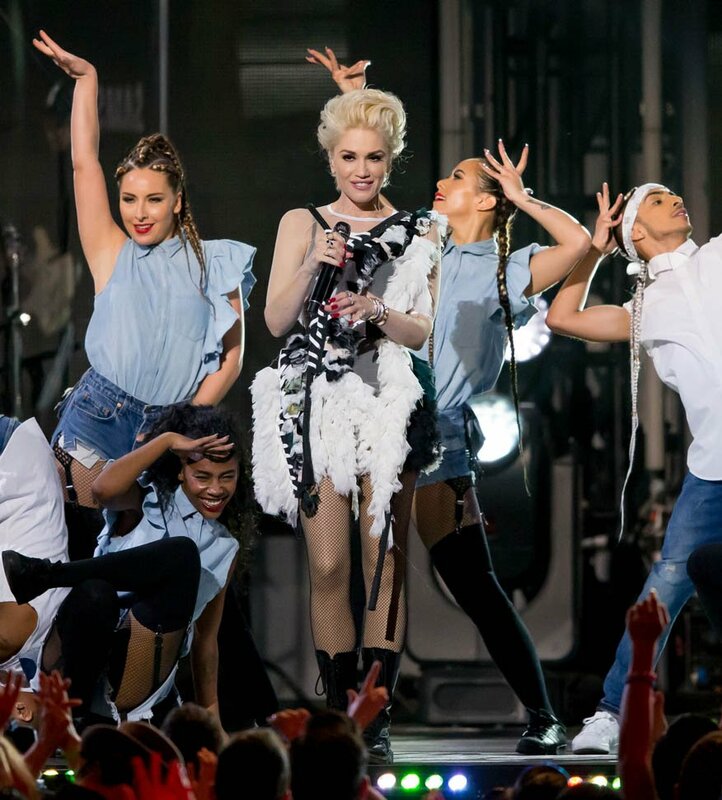 During the Grammys, Gwen Stefani shot a live video for her new song Make Me Like You as a commercial for Target. It was like mini-Grease. And it went off beautifully. I mean there are some dodgy lighting and camera focus transitions here and there but they were by no means glaring. And it was impressive too that she was roller-skating during part of it too, non? Some people thought she fell in that section but it was pretty obvious that it happens after she skates out of frame and the next scene she’s in a new dress. You’ll note too that the bar in the video is called Blake’s. 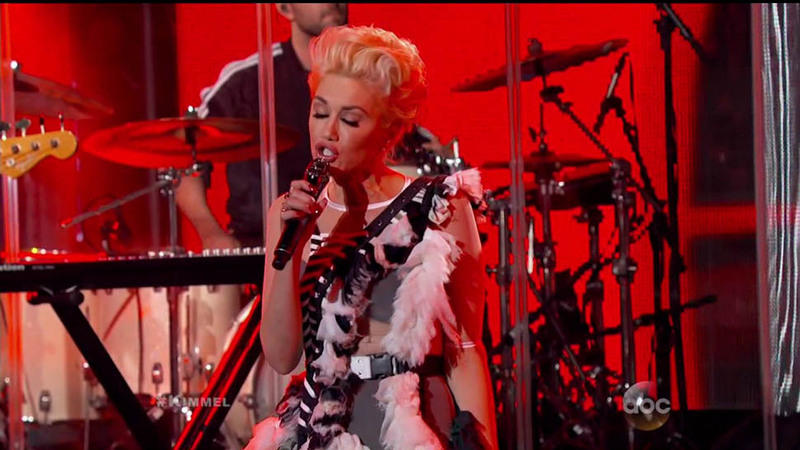 Jimmy Kimmel asked Gwen about that last night. The video is below. He also asked her whether or not the song is about Blake. Obviously. But we do want to hear how she answers, right? Can we go back to the bar though? And “Blake’s”? Because you know what my association with that is? Obviously Blake Shelton isn’t Blake Civil-Fielder. And there are no f-cking similarities whatsoever between the two, apart from romantic inspiration – and even there, the tone of Gwen’s music inspired by Blake is the complete opposite of Amy’s music inspired by her Blake. It’s just that even the font is the same on that sign, you know? Anyway, dedicating a song to someone and performing it for him in a video isn’t exactly as permanent as a tattoo, but, as we saw with JLO and Ben Affleck and Jenny From The Block, it does, in its own way, live forever.